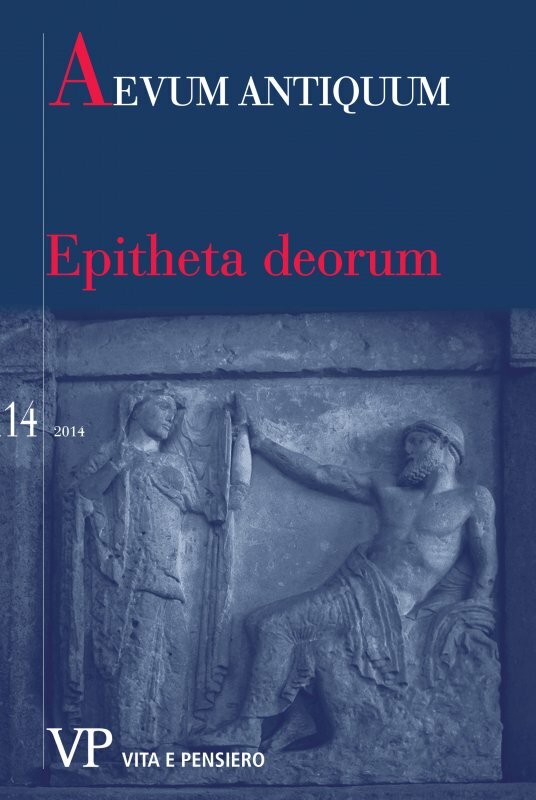 The paper deals with the interpretation of Hera’s epithet Θελξίνη (Magna Graecia, 4th cent. B.C. ), which is probably connected with θέλγω ‘enchant’, ‘bewitch’, ‘beguile’. Most of the phraseological collocations of this verb are reflected by τερψίμβροτος-compounds with first component θελξι°: these are frequently attributed, as mythological names or divine epithets, to supernatural figures provided with a beguiling function (Muses, Sirens, Erotes, Aphrodite, Apollon, Dionysos). In ancient literary sources, Hera is described as a wrathful deity and a deceiver who often makes her enemies mad. Thus, Θελξίνη and the lexicographically attested form Θελξινία could join this system – at least synchronically reinterpreted as Kurzformen of a θελξι°-compound.